Decatur CD: "People go to record stores for the same reason they go to the farmers market." "People go to record stores for the same reason they go to the farmers market." 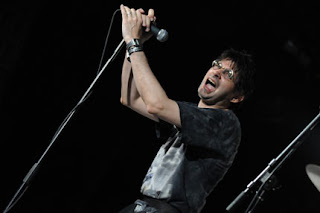 We like Steve Albini. He's an interesting and oftentimes hilarious character who boasts quite the resume and is never afraid to speak his mind. Most recently, though, he caught our attention by penning a humorous and insightful little advertisement for Reckless Records (a true gem of Chicago, should you ever get the chance to visit) that ran in the Chicago Reader on Record Store Day. Click the image below to enlarge it or visit the Reader's blog post to check it out. And if you ever need guifance in finding "the right Neil Young album for this moment in your life," please feel free to stop by and ask your friends at Decatur CD. Record Store Day is on Saturday! Punch Brothers tomorrow - don't forget!